This post is co-written by David R. Mares, the Institute of the Americas chair for Inter-American Affairs and professor for political science at the University of California San Diego and the Baker Institute scholar for Latin American energy studies at the James A. Baker III Institute for Public Policy at Rice University. Venezuelans are due to go to the polls on May 20, in an election that is seen as problematical for the largest members of the Organization of American States (OAS). Last month’s OAS summit was inconclusive on how to respond to the deepening humanitarian crisis inside Venezuela that has spurred 230,000 refugees to cross the border to Colombia and oil workers to abandon their posts. This week’s news included an announcement that Chevron was withdrawing executives in light of the arrest of two company employees who were arrested for refusing to participate in official corruption. Chevron’s announcement follows the exit of major U.S. oil drilling service companies. Oil production from areas such as Chevron’s operations were a bright light in a rapidly declining sector. As the Venezuelan oil industry collapse accelerates under the rule of Major General Manuel Quevedo, oil production is likely to continue to crater, perhaps at a faster rate. Eventually, the industry’s performance will be so debilitated that it will render the option of U.S. sanctions against Venezuelan oil exports less relevant. The prospects that General Quevedo will run Venezuela’s oil industry into the ground raises the specter that the ranks of the country’s military could consider a coup against President Nicolas Maduro. That will present a different kind of challenge for the United States and the OAS. Opening Pandora’s Box – Again? The U.S. government’s response to Venezuela’s situation will complicate a broader Latin American response. Former President Barack Obama’s designation of Venezuela as a threat to U.S. national security alienated most of Latin America with its harkening back to Cold War unilateralism. The recent thinly veiled calls by high U.S. officials including Senator Marco Rubio—chairman of the subcommittee on the Western hemisphere—for a military coup to oust President Maduro raises fears of a return to Latin American militaries as the arbiters of politics. The fact that some members of the Venezuelan political opposition also support the call for the country’s military to intervene is also troubling, as significant minority opinions in Latin America’s past supported military coups that were followed by severe repression and suspended democracy for years. Latin America has committed itself in multiple international fora to defending democracy. In the twenty-first century they have acted in concert multiple times to isolate governments that came to power through irregular or highly questionable means (e.g., Venezuela 2002 and Honduras 2009) or to effectively mediate government-opposition conflicts (e.g., Bolivia 2007-2008). But today Latin America is divided regarding how to respond to the political, economic, and humanitarian crisis engulfing Venezuela. The Lima Group of fourteen countries (including Canada, Guyana, and Saint Lucia as non-Latin American members) is pressuring the government of Nicolás Maduro for credible commitments to free elections and reforms, but several members of the OAS call for a hands off approach. 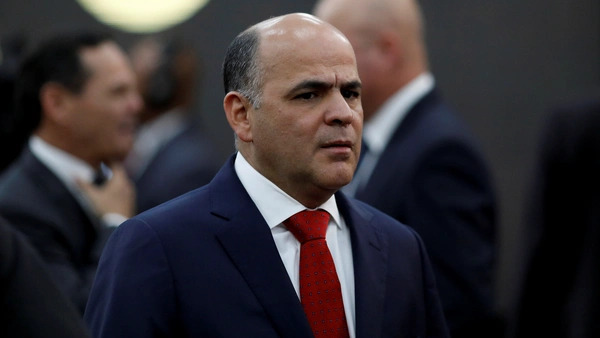 Even the Lima Group is divided regarding how much to pressure Maduro: Peru told Maduro that he was not invited to the 2018 Summit of the Americas, but Chile publicly stated that all governments were invited to the inauguration of President Sebastián Piñera. The reasons for this disunity are not simply ideological disagreements, dependence on Venezuelan oil, or kowtowing to Washington. Rather, they are rooted in the region’s history of political instability, frustrated social change, and experience with the heavy and clumsy hand of the United States, all of which have led to the region prizing sovereignty and generally opposing interference by other nations in domestic affairs. Drawing the Line - Where? OAS leadership, both the current Secretary General Luis Almagro and the former Secretary General Jose Miguel Insulza, have sought to make the organization live up to its responsibilities under the 2001 Inter-American Democratic Charter, and to critique the intransigence of the Maduro government. The United States, Brazil, Colombia, and Argentina all supported this approach at the OAS summit last month in Lima. But the OAS has not been effective in delivering a clear and consistent pro-democratic message for complex reasons. First, there is no agreement in Latin America beyond periodic elections on what constitutes “democracy,” and therefore it is diplomatically difficult to get agreement on where the Maduro government sits on the spectrum where beyond which politics is no longer democratic. Second, the great discrepancies in political and social inclusion that remain in Latin America reproduce the domestic political polarization and instability at the regional level. Populist governments in Ecuador and Nicaragua still support the Venezuelan government. Worse still, Latin American governments agree that if the military participates in an overthrow—even if asked by governing institutions to do so (e.g., Honduras)—that it is a coup against democracy. But if riots in the street seek to force a president to resign and thus impose the vocal minority’s will over the results of elections, Latin American consensus breaks down with governments that favor the opposition calling for mediation and those sympathetic to the government supporting the electoral calendar. Similar divisions reveal themselves when one branch of government uses its constitutional powers to remove the leadership of another branch or stop a proposed policy (e.g., Paraguay, Brazil, Venezuela in 2015). This pattern suggests that Latin America’s defense of democracy is not a mature process tied to law and institutions, but still rooted in individuals, ideology, and politics. Who has the standing to critique Venezuela? Maduro’s popularity in Venezuela is far greater than President Michel Temer’s in Brazil where few voters likely believe that Temer and his administration are more honest than Luiz Inácio Lula da Silva or Dilma Rousseff who are under investigation. Among the mediators selected by the opposition is Mexico—a country with the highest murder rate for journalists, where the government is suspected by international NGOs of being involved in much of the violence against citizens and wallowing in corruption. Colombia is one of the leading voices for sanctioning Venezuela’s government, but Colombia’s bona fides are compromised by the fraying of the peace agreement and the lack of security for FARC candidates in elections. Peru’s President just resigned in the face of serious financial and political corruption scandals. All this makes the U.S. decision making about Venezuela extremely difficult. If the goal of U.S. intervention is to restore democracy to Venezuela, imposing U.S. sanctions against the country’s oil exports could be overkill, given the decline coming to the country’s oil sector in any case. Targeted sanctions against the Venezuelan military would have limited real effects given Russia and China’s commitment to the current regime and would only reinforce officers who hold anti-U.S. nationalist views. The U.S. government should consider two major points in preparing for the next stages in the evolution of the Venezuelan crisis. First, if the United States is seen as taking the lead in bringing about the collapse of the Maduro government, it will discredit the democratic transition in the eyes of significant segments of Venezuelan and Latin American public opinion. Secondly, United States credibility for providing reconstruction aid and supporting an open and non-discriminatory transition process is low in the region.